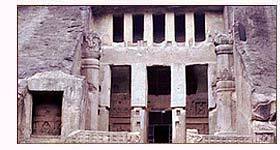 Kanheri caves, perhaps, are the most easily reachable among all caves, and also the lonely one in the midst of a national park in India. The 109 caves are reachable through the Sanjay Gandhi national park, a good way to reach a religious destination. The place is splendid, considering the integration of lush greens and rare artistic examples, but is surprising to learn that once it was a thriving trade route, and home to a Buddhist university, well known to the world. Majority of the caves are monasteries, intended for living, study and meditation. All of them have elaborately carved sculptures, reliefs and pillars and encompass rock-cut stupas for worship. The Buddhist pilgrim's progress ends not far from the Borivali railway station, but more interestingly, for most, it is just a beginning of another journey, spiritual and deeply religious. Location : The Kanheri caves are located 40 kms from Mumbai and 10 km away from Borivali, and in the midst of the Sanjay Gandhi National Park, Maharashtra. The caves are always beautiful, but the most exquisite piece of artistic example lies at the top, where fantastic sculptures of goddess Tara and Goddess Bhrukti with the central structure of Avalokiteswara, with five symbols each in the right and the left is housed. The caves are considered to be in use during the period of 1st century BC to 9th century AD, primarily Buddhist monks, and some of the traders who travelled from the nearby places for religious favors. However, the most appealing is the Chaitya cave, built sometime during the 4th to 5th Century AD, with signs of decorative woodwork on the roof still present, is definitely a big draw for the tourists. There are many sculptured statues of Buddha, on the outer sides of the wall, mainly in the Avalokiteswara incarnation. There are, nevertheless, difference in the artistic representation, when contrasted with one another, may be due to the difference of time when they were built. Sanjay Gandhi National Park, with vivid treasury of wildlife, beautifully green landscape, well laid zigzag roads and kind-hearted monkey band is another plus point for making the place such a hotspot for the tourist folk. The caves represent a golden beginning and the end of Buddhism in Northern India. Most interestingly, with the rock cut sculptures, the individual travellers carved some useless graffiti out, and one will be amazed to know from these graffiti that these caves have been in the tourist map from the 16th century. Mumbai :Visit the commercial capital of India, 42 km away, the heart of Indian film Industry, Mumbai, is a splendid city for travellers. The Gateway of India, Chwpatty beach, the Haji Ali Mosque, Juhu Beach, Crawford Market, The Bomaby high court, and a vibrant nightlife are all part of this city. Most of the wells known financial institutions are housed in this city that is considered to be the richest in India. Actually one would feel comfortable by not making Mumbai an excursion, rather making the process vice versa. Matheran : A well-known hill station, Matheran is often visited by people for its pollution free environment, and the beautiful landscape. It is also reachable by a toy train from its foothills. Thane : Thane is also a nice place to visit, known for its lively atmosphere and boasts of the modern lifestyle. As many as 30 lakes are there in this city, the prominent one being the Masunda. Other important places to visit are Yeoor hills and Mama-Bhanja Hills, Essel World, and the Water Kingdom. Air : Mumbai airport is both a major airport and the most convenient one to reach these caves. Rail : Borivali is the nearest station but for major trains Mumbai CST is preferable. Road : It's a 10-minute Journey from the Borivali railway station, however buses are available from Mumbai also. 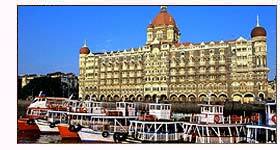 You can stay in Mumbai which, boasts of its industrial capital image through many luxurious hotels. Access : 08 Kms from IGI Airport & 06 Kms from Dom Apt. Access : 5 kms from Domestic airport & 7 kms from the IGI airport and 2 kms from the Railway Station. Access : 23 Kms from Chatrapati Shivaji Airport. Access : 3 kms from Domestic airport & 9kms from the IGI airport and 1.5 kms from the Railway Station. Access : The hotel is adjacent to Mumbai's international airport and minutes from the domestic terminals. The hotel is also close to Santacruz domestic airport. Access : 25 Kms from Sahara Airport,2.5 Kms from Churchgate Railway station. Access : 01 Kms from Dom Airport,02 Kms from Vile Parle Railway station. Access : 02 Kms from Sahar Airport,05 Kms from Andheri Railway station. Access : 06 Kms from Chatarpati Shivaji Airport,04 Kms from Andheri Railway station. Access : 1.5 Kms from IGI Apt & 06 Kms from Dom Apt. Access : 0.5 km from IGI & Dom Apt. Access : 06 Kms from Santacruz Airport,04 Kms from Andheri Railway station. 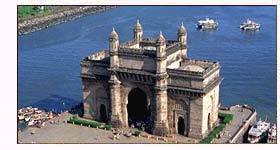 Access : 02 Kms from CST International Airport,04 Kms from CST Dom Apt. Access : 01 Kms from Dom Apt,05 Km from IGI Apt,02 Kms from Vile Parle Railway station. Access : 28 Kms from Chatarpati Shivaji International Airport. Access : 32 Kms from CSM IGIApt,2.5 Kms from Railway station. Access : 12 Kms from Chatarpati Shivaji International,10 Kms from Dadar Railway station. Access : 35 kms from Airport,03 kms from Railway station,01 Km from Bus stand.